To enjoy the spectacular view of the Potala, we recommend going up the hill in front of it. After taking photos of the palace, come down and walk towards the main gate of the city. 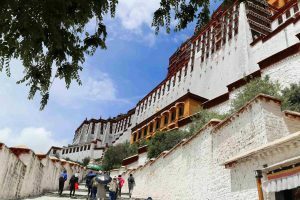 You can join Tibetans walking around Potala Palace in a clockwise direction, spinning prayer wheels to send thousands of prayers. 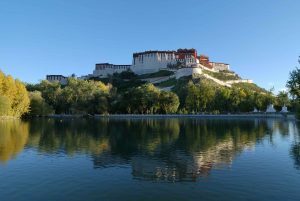 Potala Palace was built on the 130 meters high Marpo Ri hill. 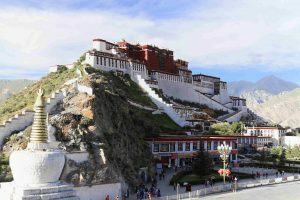 From the hill, you can get a great view of the entire city of Lhasa. 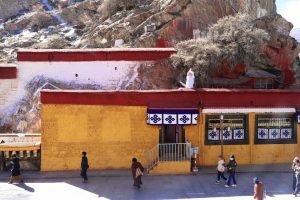 According to the old legends, there are several sacred caves in the hill, where Bodhisattva Avalokiteshvara (Chenresig) lived. 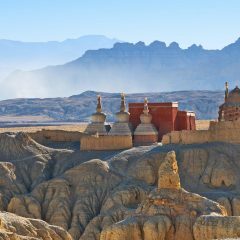 That’s why King Songtsen Gampo used the caves for his meditation retreats in the 7th century. 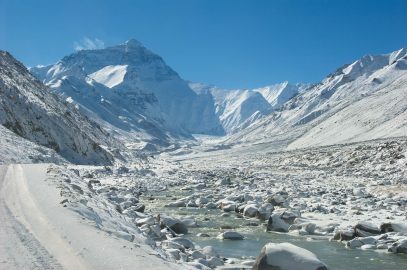 It also explains the origin of the name “Potala”, which, according to some theories, derives from Tibetan title for Avalokiteshvara’s Pure Land, named “Potala”. Later, the king decided to build a palace on Marpo Ri. 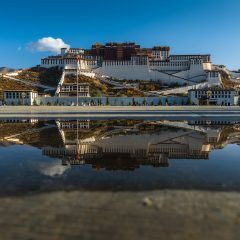 This palace later became a foundation of the Potala Palace. 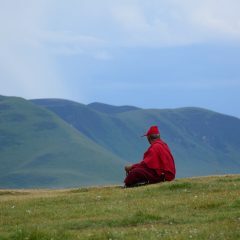 In the 17th century, the fifth Dalai Lama decided to move the seat of his Gelugpa sect to the Marpo Ri hill from Drepung Monastery. 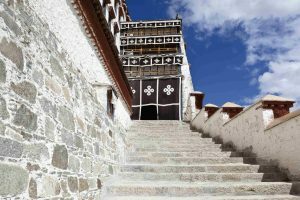 Work began first on the White Palace, or Kharpo Podrang, in 1645, and the fifth Dalai Lama moved there from Drepung Monastery shortly after. 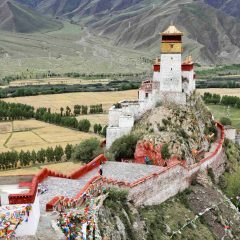 It is unknown who initiated the work on the Red Palace, or Marpo Podrang. 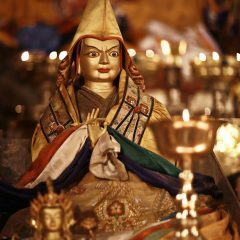 The fifth Dalai Lama died in 1682 and his death was concealed until the completion of the Red Palace 12 years later. His death was not announced until he was put to rest in the newly completed Red Palace. 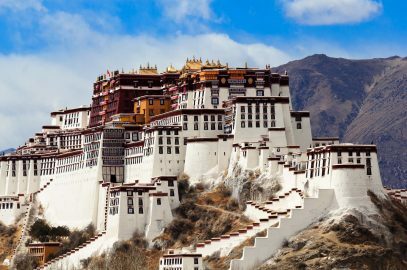 Since The Fifth Dalai Lama first moved to Potala, it became the main residence for all the Dalai Lamas. 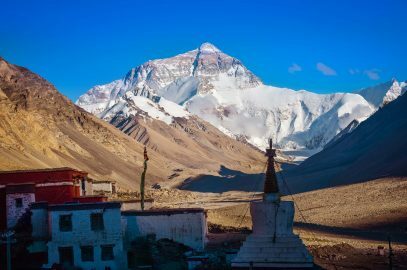 At the same time, it became the seat of the Tibetan government, religious school, and an important pilgrimage destination, since it contained tombs of the previous Dalai Lamas. 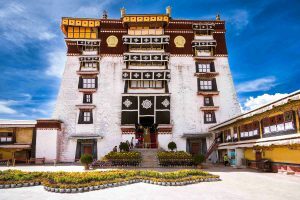 The Thirteen Dalai Lama renovated the palace, adding some rooms to the White Palace and a number of chapels to the Red Palace. 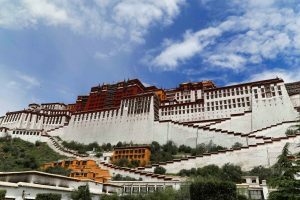 The Potala was not seriously damaged during the cultural revolution in 1959. 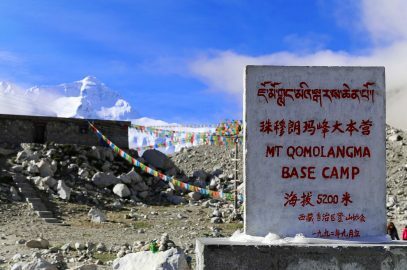 Some believe, that several Chinese troops protected it. Consequently, most of the chapels and artifacts remained well preserved. We will make a reservation to visit the Palace for you. 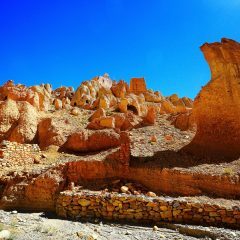 The reservation time depends on availability and we will organize the day based on this time. Due to a large number of visitors, the time that we can spend inside the palace can be limited. The visit starts by entering the Palace from the east gate where we spend some time taking close up photos of the Palace. After that, we will climb up the stairs to enter the White Palace. 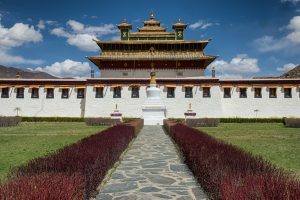 The White Palace or Potrang Karpo served as living quarters of Dalai Lama and we can see the rooms where Dalai Lamas lived and studied. We visit Phakpa Lhakhang and Choegyal drupuk chapels. 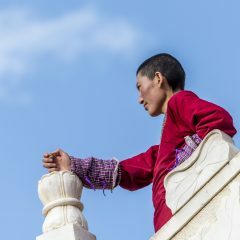 Later we will proceed to the roof of the Palace to enter the Red Palace. 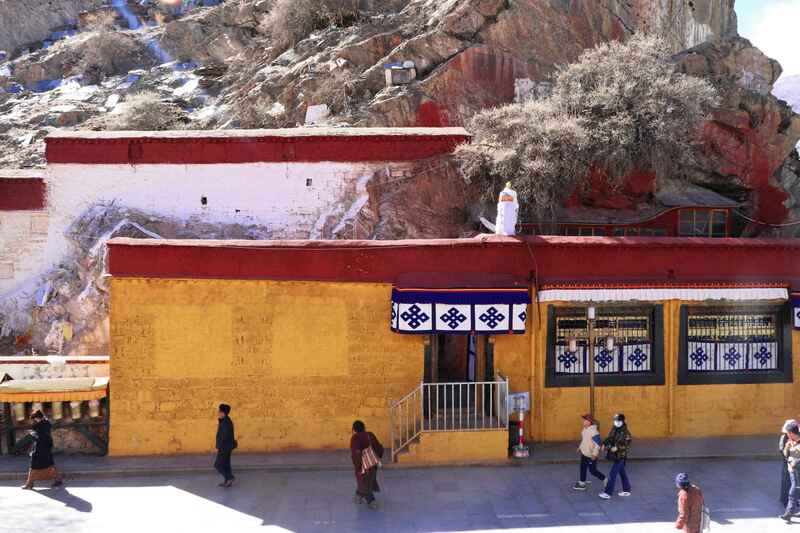 The Red Palace or Potrang Marpo includes religious chapels. 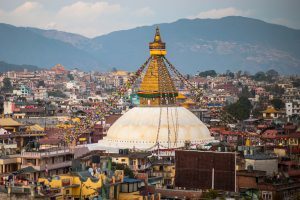 We will see tomb stupas of Dalai Lamas, 3-d mandalas built with precious stones and metals, Assembly Hall, meditation cave and Compassion Buddha chapel. Finally, we will exit at the west side of the Palace and walk down the stairs on the backside of the Potala. 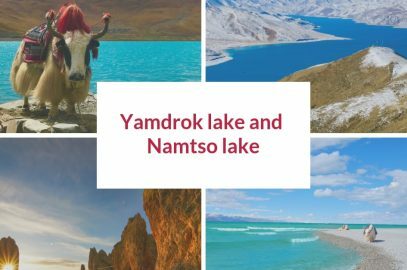 From the top of the hill, you can enjoy splendid views of Lhasa and surrounding mountains. 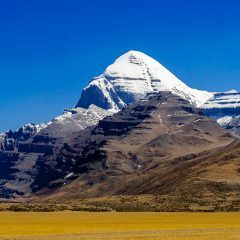 Want to experience Tibet like a local Tibetan? Walk the kora, holy circuit around the Potala Palace. 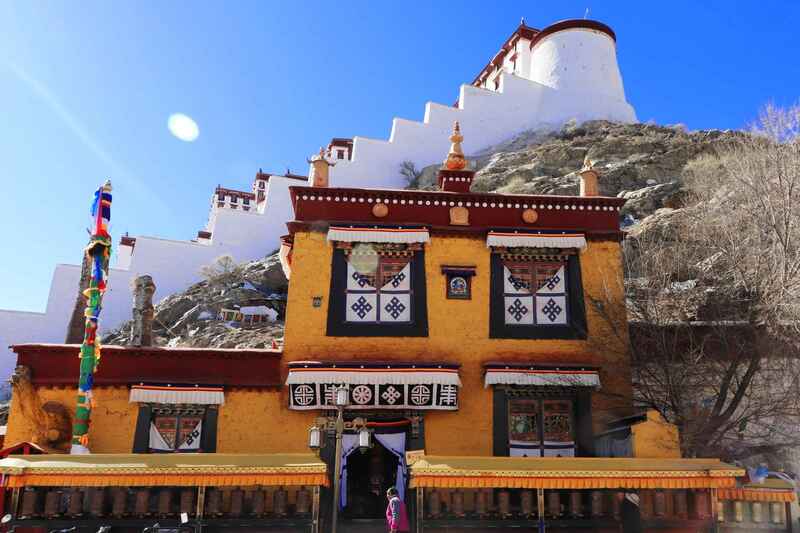 Join pilgrims that circumambulating the Palace and see the oldest historical part of Lhasa. Want to take iconic photos of the Palace as seen in guidebooks? 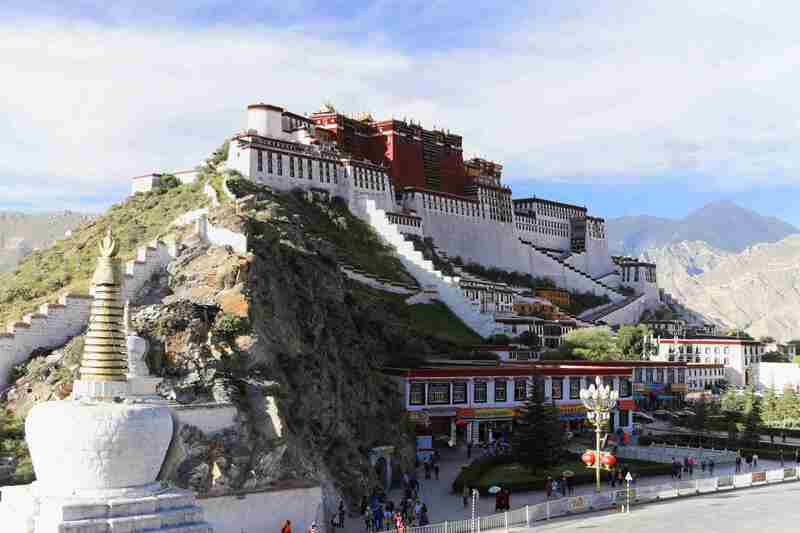 Go up the hill to get an unobstructed view and take great photos of the Potala Palace and the main gate of the city. Hint: our guides will take you there before or after visiting the Palace. 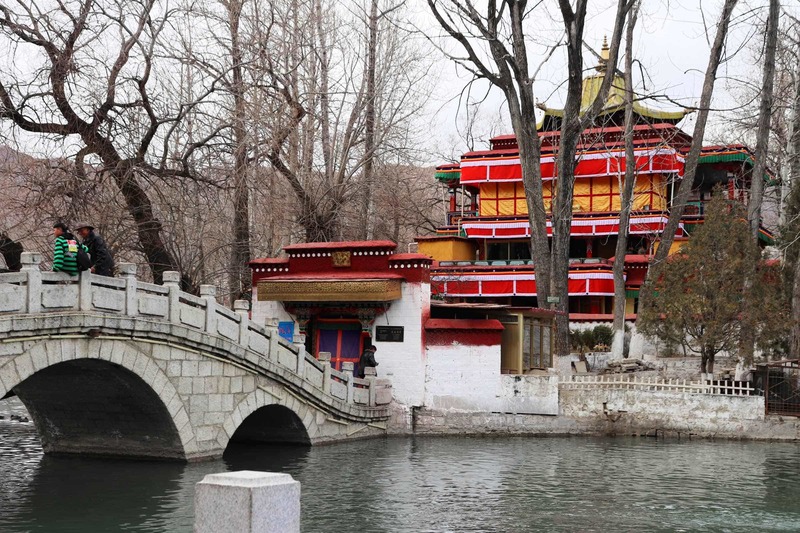 Walk in the park behind the Potala Palace. There is a large lake with many birds. Spend some quiet moments in the shade of trees. If you visit it in the evening, you will see the Potala Palace beautifully lit up and its reflection in the lakes both in front of it and in the lake behind the Palace. Cross the small arch bridge to visit the small Lugang Temple and enjoy its wall paintings telling some old stories (similar to modern-day comic books). The temple is truly a hidden gem. 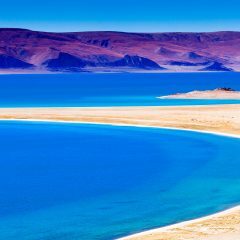 It is located on a small peaceful island with lots of trees. Monks take good care of the temple, and there are plenty of opportunities to take nice photos. Good for 30 minutes to 1-hour visit. 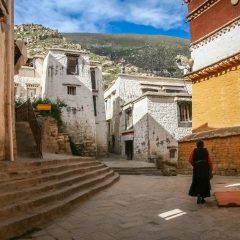 Visit the small Nunnery: the small yellow building to the right from the entrance to the Potala Palace. It is very small, yet peaceful with various statues. 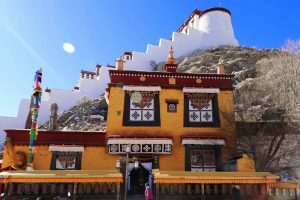 Visit one of the tea shops with the view on Potala. 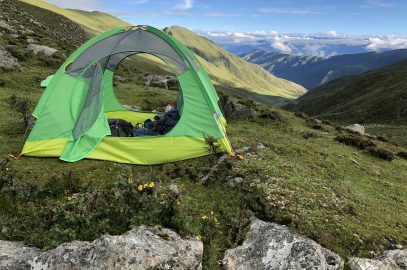 You can visit the Sholkunkyi teahouse located to the right from the viewpoint and go up to the second floor to enjoy your meal with a great view! Want to get even closer? 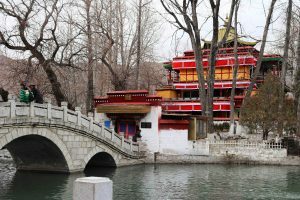 There is a local tea house located to the right from Potala Palace where you can get an affordable meal and enjoy the view. The view from the tea house in on the photo.